The Formula 1 season kicks off today in Australia with all eyes on World Champion and pole sitter Lewis Hamilton. Hamilton is, without doubt, the sports biggest draw and maybe it’s only true crossover star. He goes into the season chasing a 5th world title, which if he achieves it would move him up to joint second on the all time list. 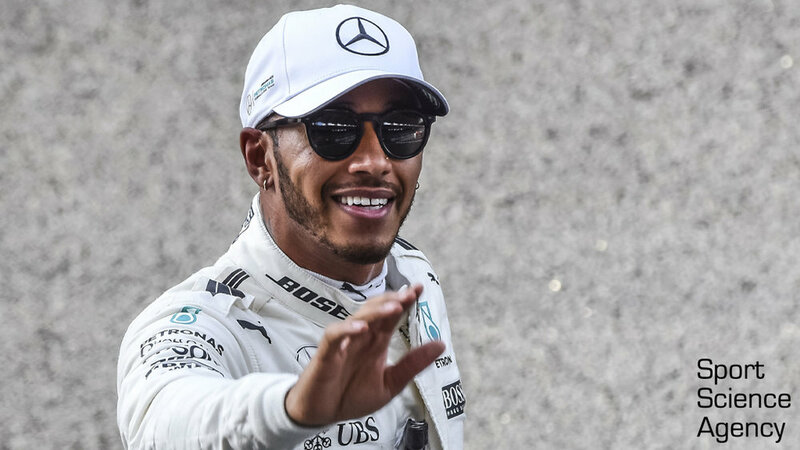 Midway through last season, a different spotlight was shone on Hamilton after he announced his decision to follow a vegan diet. Many questioned the wisdom of this lifestyle change at such a time, but any criticism was soon overshadowed by his imperious form following the mid-season break, which saw him storm to the driver’s crown with two races remaining. Hamilton is by no means the first major sports star to promote the virtues of a vegan diet. Perhaps the most famous advocate of a vegan, or predominantly vegan diet, is NFL star, Tom Brady. Brady, at the age of 40 has the most super bowl wins of any current NFL player. His longevity and continued success have created considerable attention around his diet and training practices. Brady’s diet is reportedly vegan throughout the year except during the winter playing period when he introduces limited lean meat to help with protein intake. But are there performance benefits to such a diet for athletes? In a 2010 paper, Drs Fuhrman and Ferreri suggest potential training and recovery benefits linked to a vegan diet. They attributed this to high antioxidant, micronutrient and carbohydrate rich foods that a plant-based diet would provide. A recent review by David Rogerson, based at the Academy of Sport and Physical Activity at Sheffield Hallam University, also highlighted evidence a vegan diet could promote health in non athletics populations. To substantiate the claim, he points to lower rates of obesity and reduced incidence of heart disease and cancer among vegetarians and vegans. However, the same review outlines that individuals following vegetarian or vegan diets tend to be more health-conscious and therefore other lifestyle factors (e.g. exercise) may confound these effects. Rogerson concludes that currently when examining athletes, there is a lack quality scientific evidence to support any major performance benefit linked to a vegan diet. There can be no doubt, however, that veganism is becoming more visible. It’s not only Hamilton and Brady that feel they are benefiting from a shift in traditional nutritional strategy, David Haye and Venus Williams have also moved to a plant based diet. Often this is linked to a desire to extend their careers and an increased focus on health. With all of them now past their 30th birthday it provides a new avenue for commercial partnerships beyond sport. The growing influencer trend across social media has left sport stars with fewer traditional endorsements opportunities in the later stages of their careers. This is due, in part, to their lack of relevance among digital natives who look to people like them for product reviews, lifestyle tips and day to day information about health, diet, exercise and fitness. However, major dietary changes and health based transitions focused on conditions such as diabetes, high blood pressure, heart disease and cancer are the domain of the middle aged. These audiences are looking for role models to support a change in their behaviour rather than, in the case of generation Z, a behaviour to follow in the first place. This trend opens the door to athletes maintaining a career into their late 30’s and even early 40’s who can create an opportunity for themselves by highlighting their switch to vegan or plant based diets. Moving away from their sporting glories, instead showcasing their story of change, the process of adoption and the shift in behaviour, adapting to a new lifestyle for health and performance reasons. Now 33, Lewis Hamilton’s status within Formula 1 and across the globe as a sporting icon is secure. The narrative surrounding his two year transition to veganism creates a new, less performance focused story providing the extra ingredient that maintains his relevance to fans and even opens the doors to a new, older and more affluent target audience away from the track. Watch this space for the Lewis Hamilton cookbook and range of vegan ready meals!